Elegant and efficient on the outside, voluminous and stylish on the inside, as the flagship of Jeanneau’s cruising line, the Sun Odyssey 509 is intended as a transition to the luxury segment. The port of the small Catalan coastal town of Andreu Llavaneres normally would have been too confined for a boat like the Sun Odyssey 509. If it wasn’t for the revolutionary 360 Docking System that was installed on the test boat, there’s no doubt that it would have been problematic to coax a vessel of this size out of a narrow slip without damage. But in this case, Jeanneau’s product manager Erik Stromberg was completely relaxed as he used the joystick to casually turn the 14-ton behemoth into position -- singlehandedly, no less. 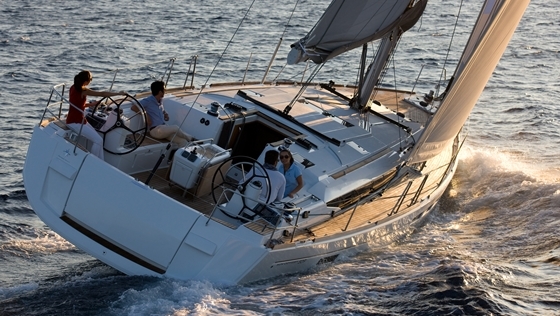 Jeanneau Sun Odyssey 509 looks sleek and sails well. The deck layout and sail plan favor singlehanded and shorthanded crews. On the new flagship of the sun Odyssey line, the 360 Docking System is only an option, offered at the hefty surcharge of 26,000 euros, or nearly 10 percent of the vessel’s price. However, it includes the rotating saildrive, bow and stern thrusters, and the autopilot. Yet, Stromberg is confident that many buyers of boats of this size won’t go without this coveted accessory. He reckons more than half of all new boats will be shipped with it. Replacing the Sun Odyssey 49i, the Sun Odyssey 509 completes the large segment of Jeanneau’s new touring line. At the same time, the boat is also a sensible transition to the more exclusive line of bluewater cruisers like the Jeanneau 53 and 57, thus completing the updates of their entire range. Unlike any other builder, Jeanneau is dedicated to a continuous and complete renewal of their product line, which means that the cycles of revisions are shorter than with most other competitors in the market. 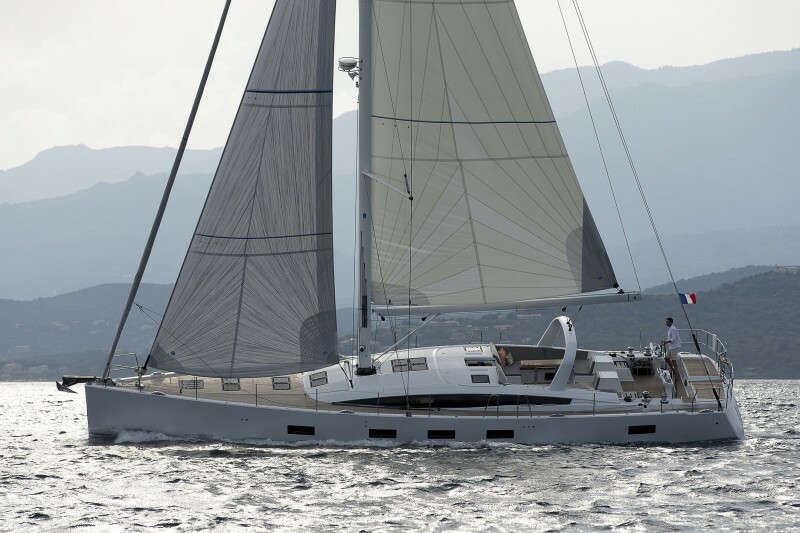 Regarding the identity, Jeanneau’s new boat leaves no doubt about her origins. The low and stretched-out cabintop with its line of curiously shaped windows, the many narrow hull windows, and the marked chines are common on all Jeanneau Sun Odysseys. Compared to the smaller models however, the new flagship appears more elegant, due to its size. Relative to the length, the freeboard and coachroof are lower, which makes the 509 visually more attractive and a bit more sporty. One could call that the privilege of size. During the test a passing storm created a large and confused sea, which eventually ran straight into the waves of the clocking sea breeze. Despite a decent 8 knots, the conditions were not what one could call pleasant. Still, the Sun Odyssey dealt with the unusual sea state surprisingly well. The yacht can take steep waves, but the pounding upon re-entry is barely noticeable. The high waves also can be steered with precision and control, because the boat reacts unexpectedly fast. The Lewmar steering system did not work without friction on the test boat because of the way the cables were adjusted on the steering quadrant, but the response was very direct, which provides a pleasant feel for the helmsperson. The interior design makes use of light colors and simple elegant shapes and features. There are several layout options. Under prevailing conditions, the performance data was hard to gauge. With the overlapping genoa, the 509 managed to produce enough pressure and reached 6 knots in the patches of flat water, sailing about 45 degrees off the breeze. The boat benefited from the performance package, which the yard had installed on the prototype for testing purposes. It includes an upgraded sail wardrobe, adjustable jib leads, belowdecks roller furling for the genoa, stretch-resistant Dyform shrouds, Dyneema halyards, a hydraulic backstay adjuster, and a three-blade folding prop. The performance bundle is available for 21,760 euros. 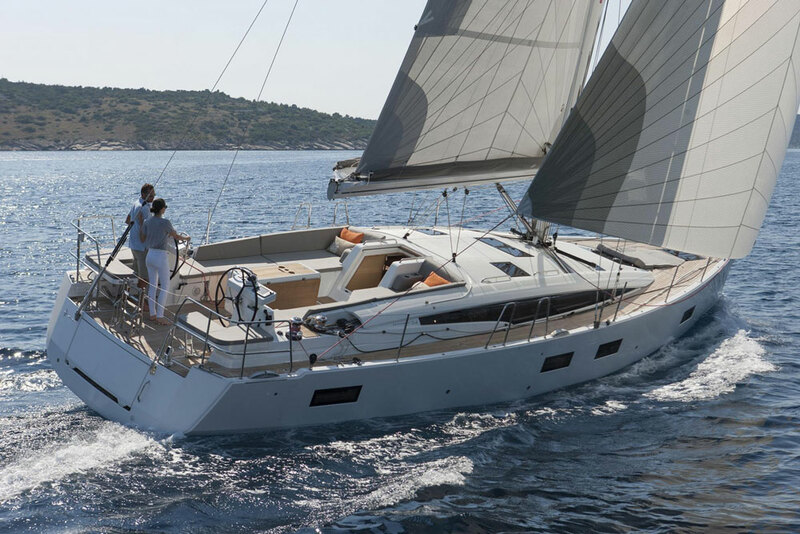 Regarding the sail choice, Jeanneau’s new cruising concept is more varied than that of most competitors’ yachts. The standard jib has a short overlap of 106 percent, with the jib track on the cabintop. It is a multi-purpose sail that offers enough area, because of the mast’s position farther aft. It is also easy to handle, because the sheeting distances are short. It also can take a bit of breeze. 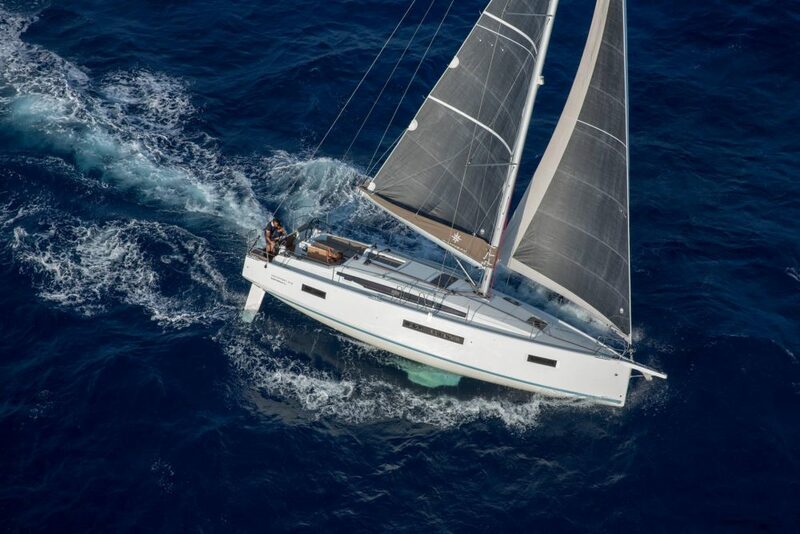 Sailors in the rougher climes of Northern Europe are thrilled about the option of a self-tacking jib, which Jeanneau offers in a different package. Another headsail option is the large roller-furling genoa, which appeals to sailors in light-air venues. Departing from the common trend, Jeanneau still attaches the shrouds to the hull close to the cabintop. It keeps the rig slim, which enables the use of headsails with larger overlaps. The other advantage of this arrangement is the unobstructed side deck for a clear passage to the bow. A good option is the code zero for a wind range of up to 12 knots. This furling sail with a flying luff is easier to handle than a gennaker (another option) and offers practically the same performance boost on close reaches. Also available is a standard spinnaker setup. The cockpit of the Sun Odyssey 509 essentially replicates the proven layout of the smaller siblings. Halyards and some trim lines such as vang and traveler are led to the winches by the companionway. Main and genoa sheets, also largely concealed, are led back to the winches near the steering wheels. This should give the driver a chance to handle all functions that are essential to operation under sail, including trim, change of course, and maneuvering singlehandedly from the helm station. 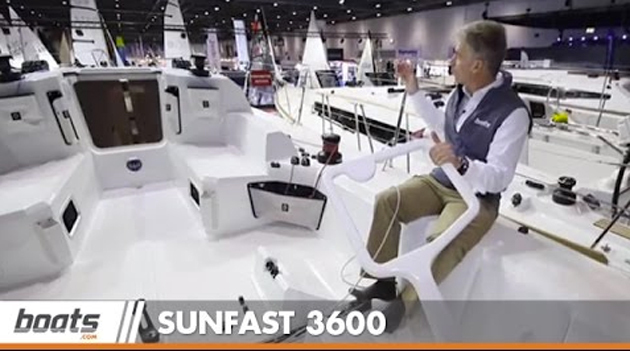 The Sun Odyssey’s concept takes into account that cruising boats often are sailed only by one person, while the cockpits of crew-oriented raceboats are laid out differently. The size of the Sun Odyssey 509 also makes much more room behind the steering wheels, despite a longer coach roof and cockpit thwarts. In contrast to the smaller boats, the backstay remains attached to the centerline. Even so, the passage from the stern and the large swim platform remains comfortable enough. With a split backstay arrangement the range of movement of the helmsman often is restricted. The tubing of the bimini was not positioned well on the test boat, but that was supposed to be addressed by the yard. The storage under the cockpit sole was nicely done and swallows fenders, dock lines, or even a life raft. 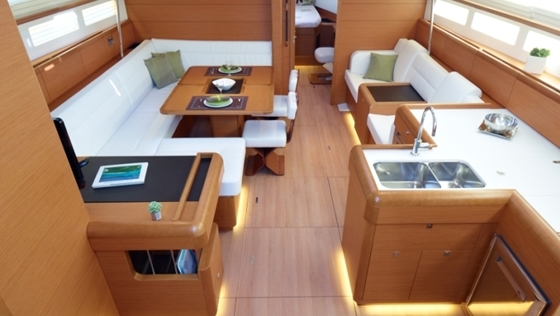 The interior on Jeanneau’s touring line emphasizes function over form and style. On the smaller models the decor appears businesslike and practical, which is not necessarily bad since it doesn’t diminish comfort and livability belowdecks. On the large Sun Odyssey 509 however, this austerity has a precious and exclusive tone. With the giant volume below, the simple and straight furnishings produce a modern and attractive ambience. This effect was used by Jeanneau’s designers to play with new style elements. For instance the upholstery of the backrests in the saloon can be ordered in contrasting color and in different heights, just as was the case on the test boat. Depending on individual taste, this might be a plus. The galley is T-shaped, and there's an option for a straight linear layout. Both options feature plenty of stowage. The standard layout has three cabins with a spacious owner’s stateroom and a generously sized island berth up front including a lavatory with separate head and shower and a make-up/work desk. Alternatively, the space forward of the main bulkhead can be separated into two cabins with their own, if rather small, head compartments. By contrast, no layout options are offered aft. The layout is two symmetrical cabins. In practice, one of the two cabins often gets repurposed as a lazarette. 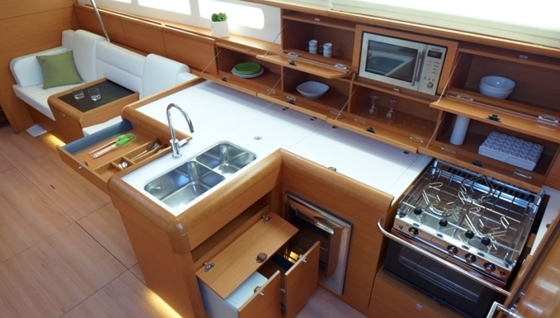 The T-shaped galley is new for Jeanneau, even though it was previously seen on other boats. But this arrangement is rather nice and quite functional. Two people can work there simultaneously without getting into each other’s way. The work surface is huge, but would be even larger if the three-burner stove could be covered when not in use. In addition, the amount of available storage space is simply stunning. As an alternative, the boat can be fitted with an in-line galley all the way forward to the main bulkhead. In this case, the space aft can be used for a third head compartment with optional shower, or an additional guest cabin with bunk beds. Adding up all available layouts, the Sun Odyssey 509 can be equipped with three to five cabins and two to four heads. The excellent implementation of the nav station with its vast workspace and versatility merits special mention. Product manager Stromberg refers to the increasing number of owners who demand a proper workspace on vessels of this size. Flat screen TVs and wireless networks for notebooks or iPads should accommodate these needs. The companionway steps are conspicuously flat, angled downwards at approximately 50 degrees, which is easy to realize on a boat of this size. This makes it comfortable for older sailors and conveys a feeling of safety while underway. This also gives the engine more space, with the possibility of installing hybrid propulsion systems in the future. Fuel and water tanks are located under the berths in the fore and aft cabins. There is a total fresh water capacity of 605 liters (in two plastic tanks) and 240 liters of diesel. 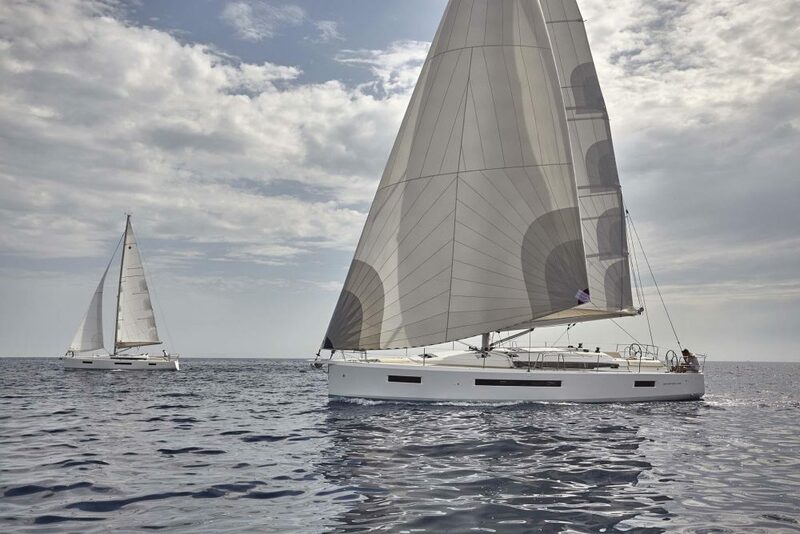 The size range of 15 meters is popular, also in the exclusive charter segment, which is why Jeanneau’s competitors are serving the market with numerous strong and current models. Hence the price question becomes important. 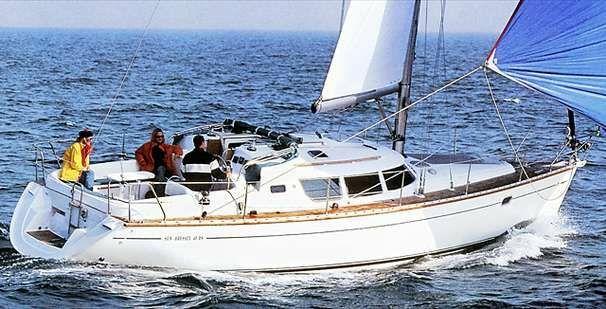 With a base price of 270,485 euros, Jeanneau is somewhat higher than Bavaria, Beneteau, and Hanse, who all offer comparable boats for about 250,000 euros. 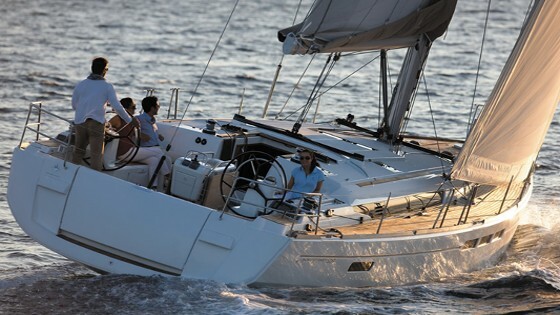 However, Jeanneau scores with high quality standards. Both in terms of structural quality and in terms of features, the French from Les Herbiers offer a good alternative. 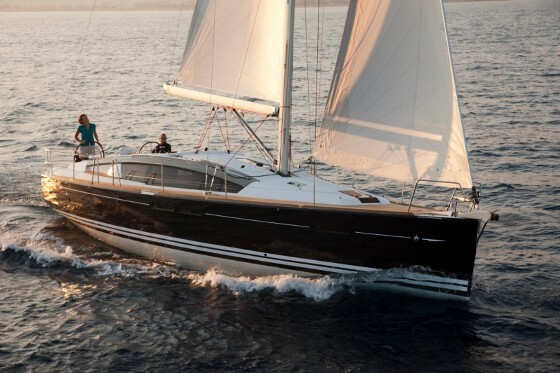 For more information, visit Jeanneau. LOA: 15.38 m / 50'5"
Hull length: 14.98 m / 49'1"
Hull beam: 4.69 m / 15'4"
Standard keel draft: 2.28 m / 7'5"
This story originally appeared in YACHT magazine, and is republished here by permission. Translated by Dieter Loibner.